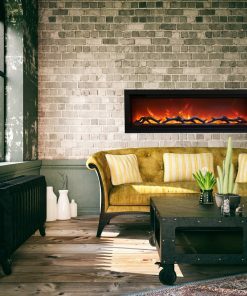 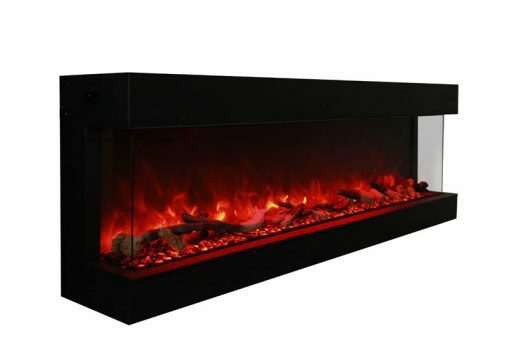 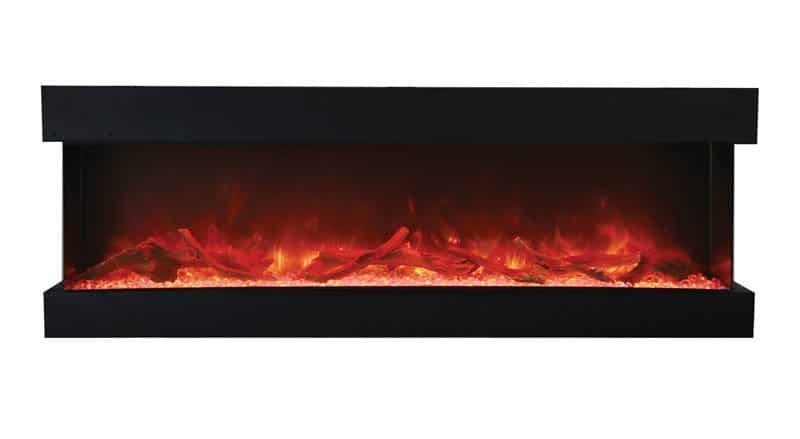 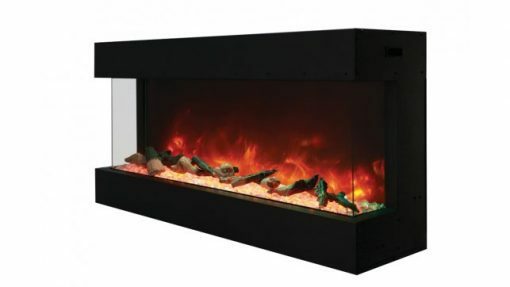 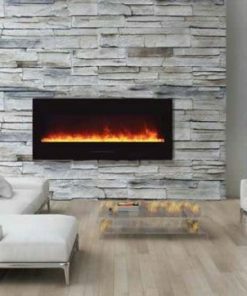 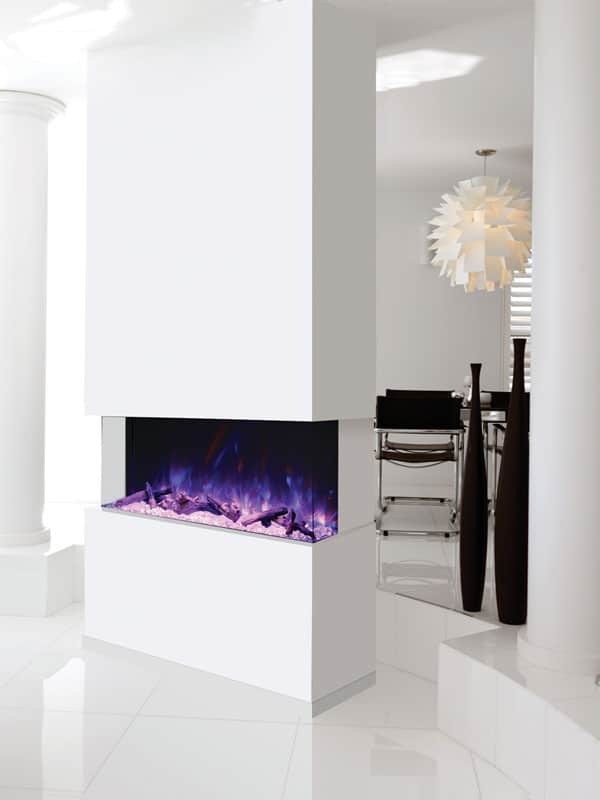 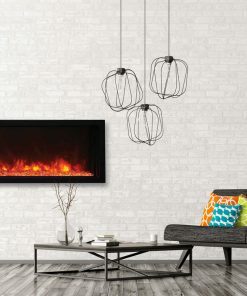 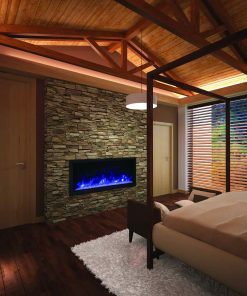 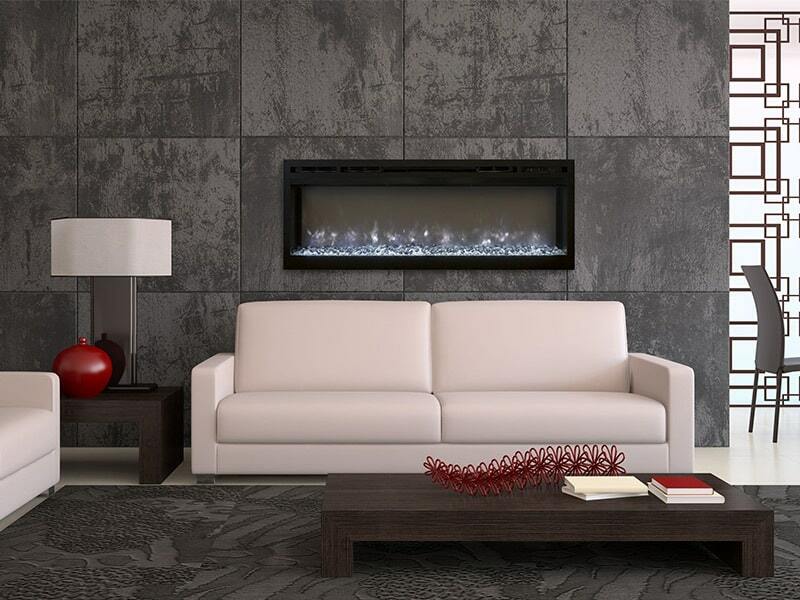 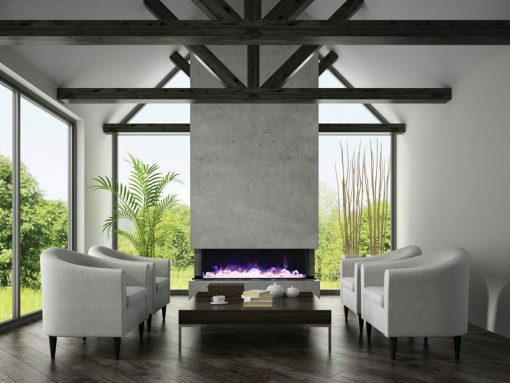 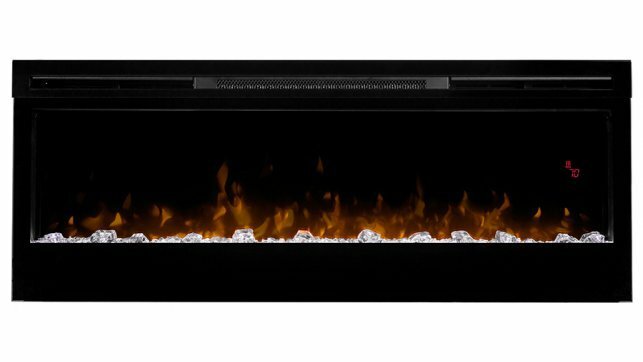 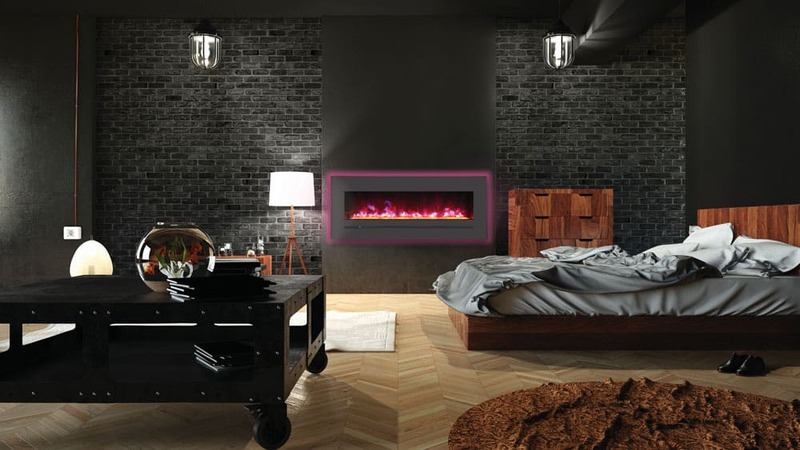 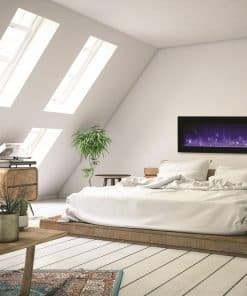 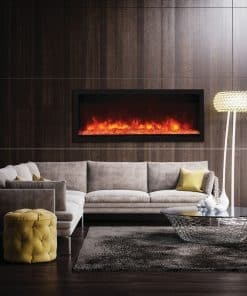 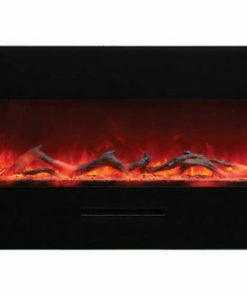 Our 3-sided Amantii 50-Tru-View-XL electric fireplace is a true innovation! 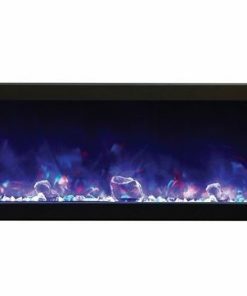 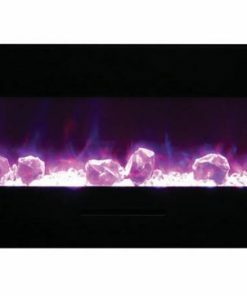 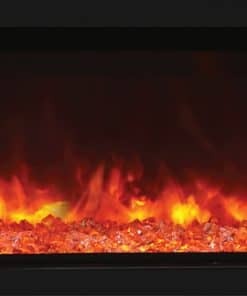 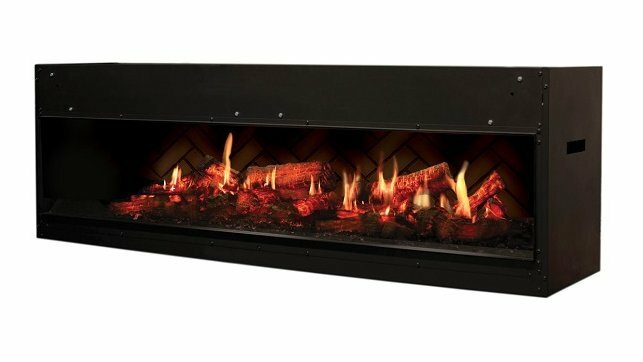 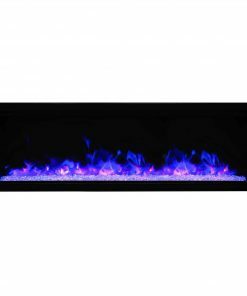 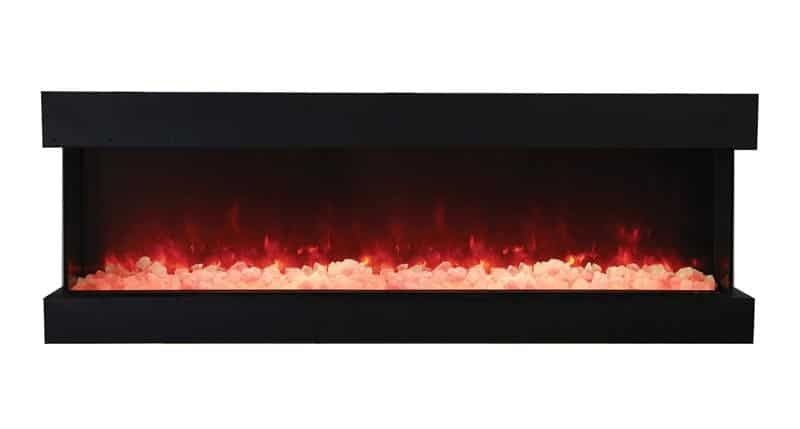 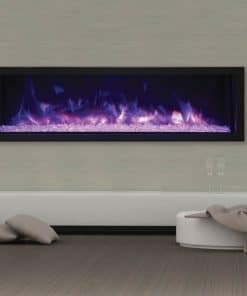 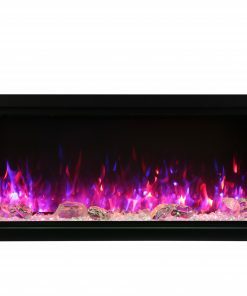 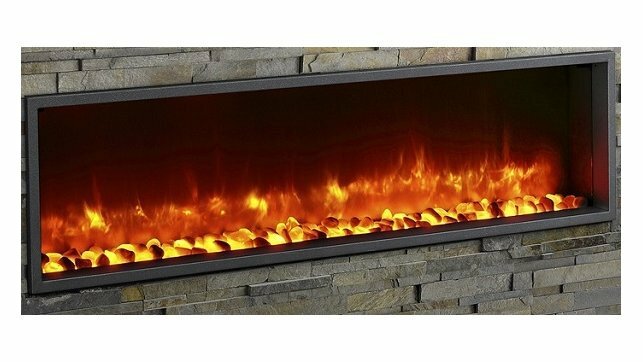 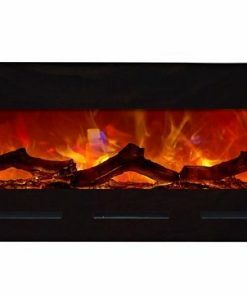 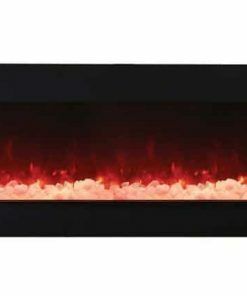 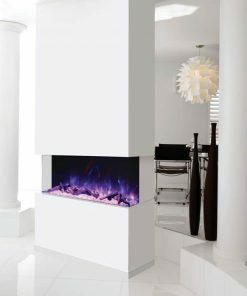 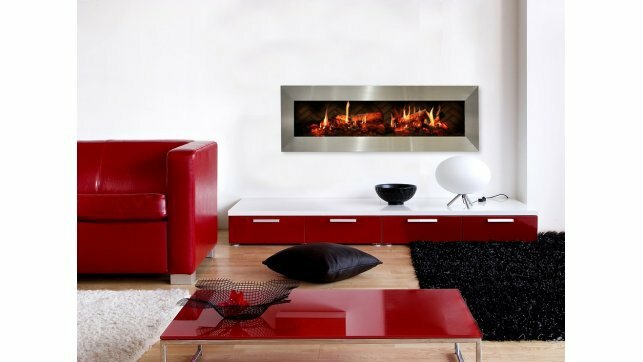 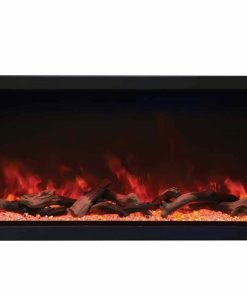 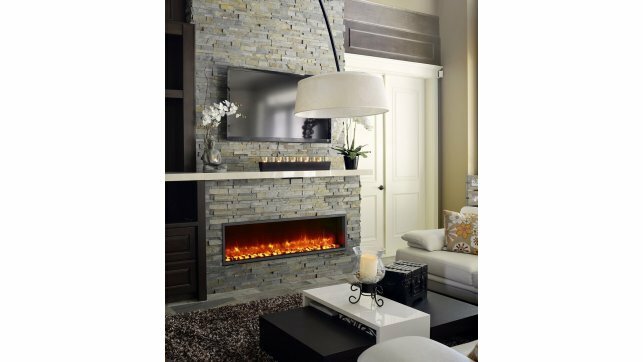 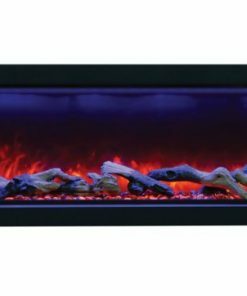 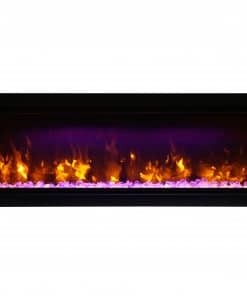 Vibrant multi-colored state-of-the-art FIRE & ICE® flame is easily changed from blue to purple to rose to violet to orange or yellow with just a click of the remote. 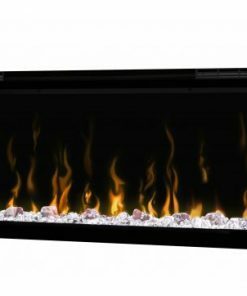 The stunning multi-color flame presentation and unique media options of the Amantii 50-Tru-View-XL can now be viewed from almost any angle. The Amantii 50-Tru-View-XL features four installation configurations, four size options, extra deep tray, ambient canopy lighting to illuminate media and is rated for indoor or outdoor use. 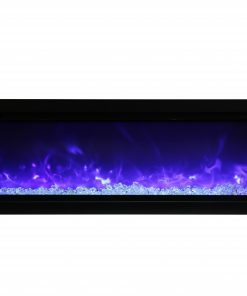 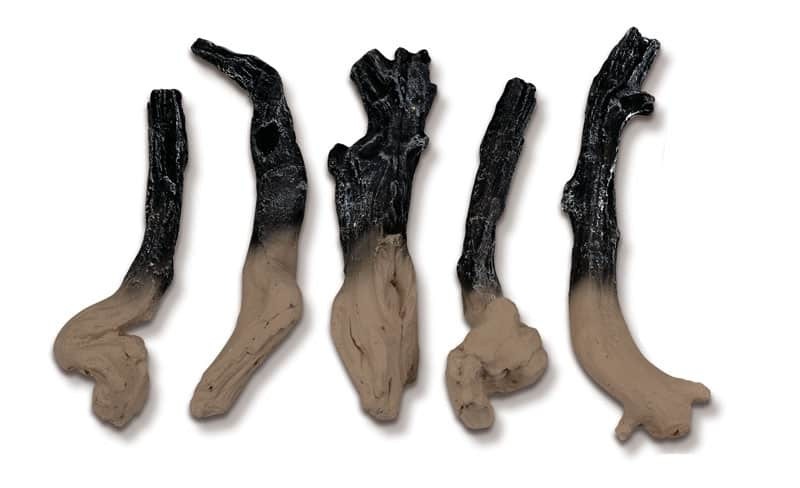 Perfect for any space, inside or out, including bathrooms. 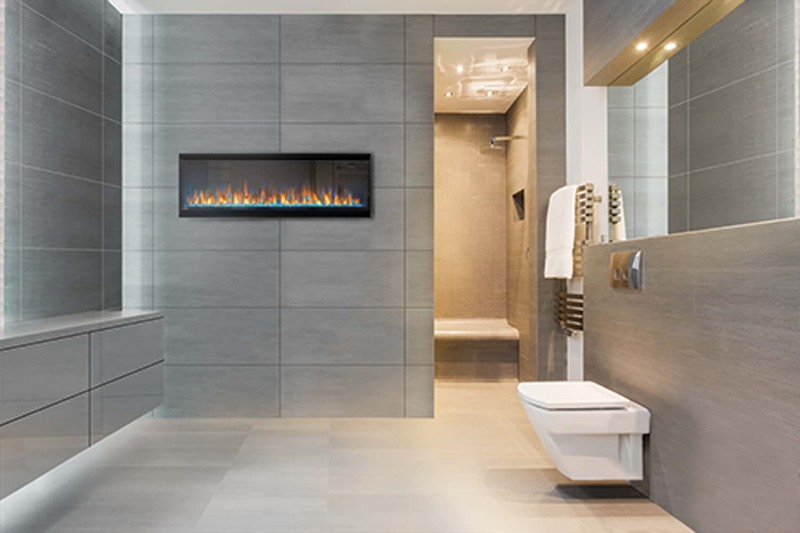 Built-In only. 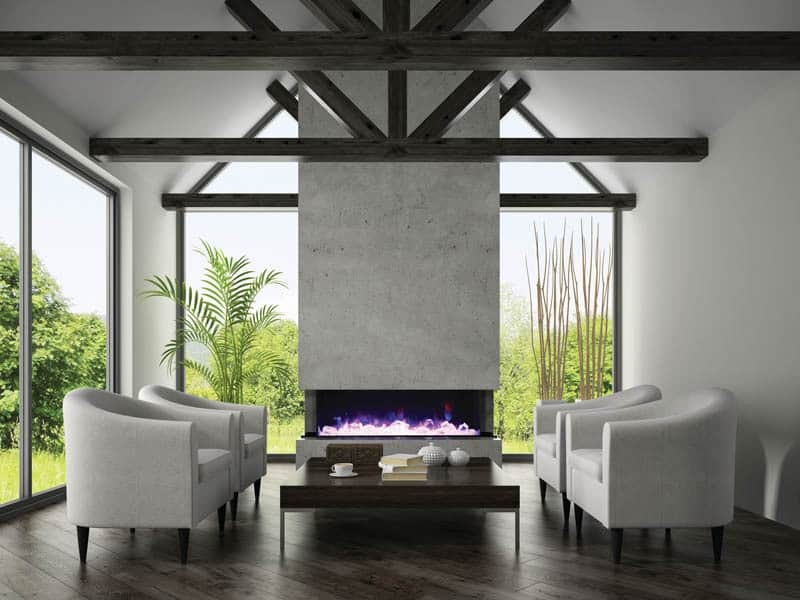 No trim or surround included. 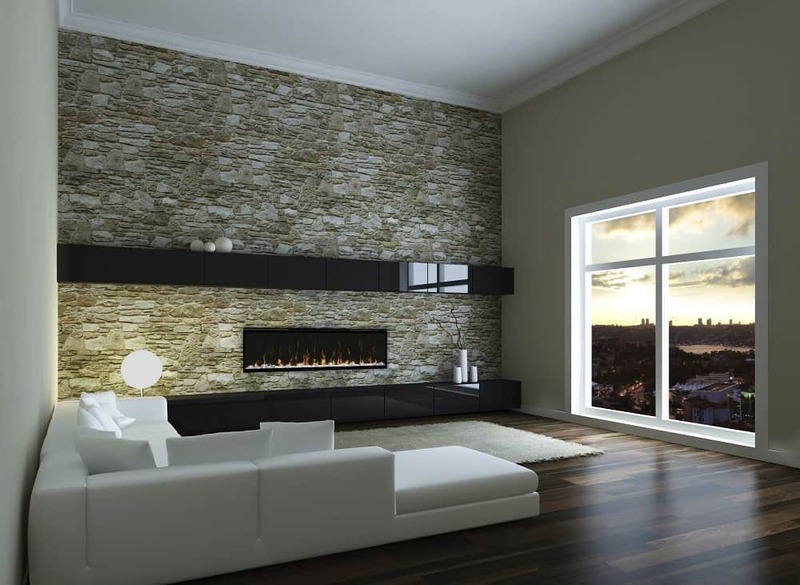 Incredible 3 sided glass viewing area. 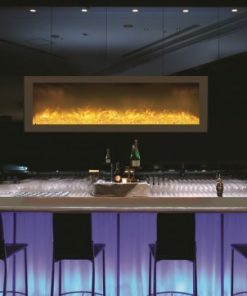 Change the appearance of included media like never before with the ambient canopy lighting feature. 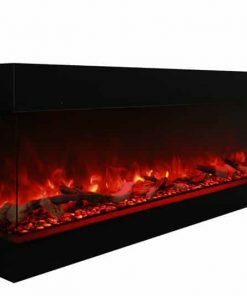 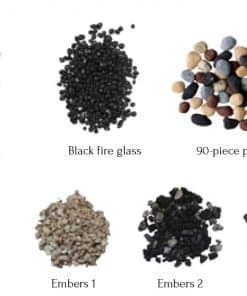 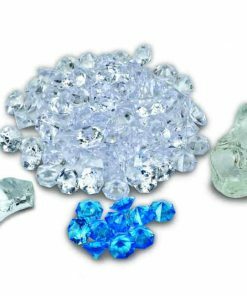 Requires finishing materials to be built flush to glass. 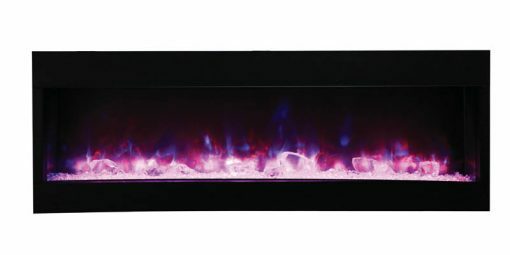 Rated for indoor & outdoor use including bathrooms.